Our mission at Montreal Cricket Store is to bring best quality Cricket equipment at best prices to Cricket lovers in Canada. 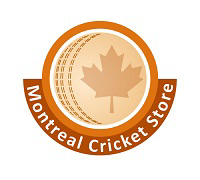 Montreal Cricket store is located in the West Island of Montréal. We are current operating from U-Haul storage location at 65 Boulevard Brunswick Dollard-des-Ormeaux, QC H9B 2N4.